Hey friends. Any of you feeling lost or uncertain today? Passionless? Restless for a new adventure? Today I’m sharing a little bit about how I have addressed those same feelings in my own life recently, and I’m also going to tell you about a fun journal that is launching today that helps you discover what it’s like to live a life of spiritually-driven adventure (full disclosure: I received a free copy of the journal to take a peek at. I also have a discount code for y’all in case you want to snag one yourself!). First, a little bit of back story on the adventure I’ve been on for the past year or so. My life doesn’t look like it has changed all that much on the outside, but since December 2014, I have been on a soul-searching adventure for passion, health, and Truth. After becoming incredibly sick with an unknown illness and finding little cure or relief despite countless visits to my family doctor, acupuncturists, and several specialists, I felt like my world was crashing down around me. I felt too sick to go to work, but I desperately needed health insurance, so I got by as best I could. I slept 10 hours a night but woke up exhausted and in pain each morning. Eating was difficult, and I quickly became pale and gaunt. With my social life at a screeching halt and my health failing, I became anxious and sad. The core of my self image had always been my high achieving, go-getter personality. Suddenly, with my health in shambles, I felt like I wasn’t able to achieve anything. I could barely get out of bed in the morning, and I felt anything but successful. At the time, “adventure” was the last word I would have used to describe where I was in life. But here’s where things got good. Because there were few things I was physically up to doing, I was forced to turn inward and reflect. I didn’t particularly like what I found. I felt like I had been floating in the wind for several years and had no idea how I had ended up where I was. I didn’t want to live like that anymore. I was ready for purpose and guidance. My faith, which has always been important to me, became my refuge. I began praying and seeking spiritual truth like never before. I began reading about purposeful living through books like Make It Happen and A Million Miles in a Thousand Years. My illness was the wake up call I needed to make some big changes on how I was living my life. I am now much healthier, both physically, spiritually, and emotionally. To most people, my life probably doesn’t look that much different on the outside. I didn’t quit my job, move to a foreign country, or sell everything I had to start my dream business. But my life is a world of difference on the inside. I’m living on purpose and passion. I’ve only just started using it, but I that’s exactly what the Art of Adventure journal is all about. 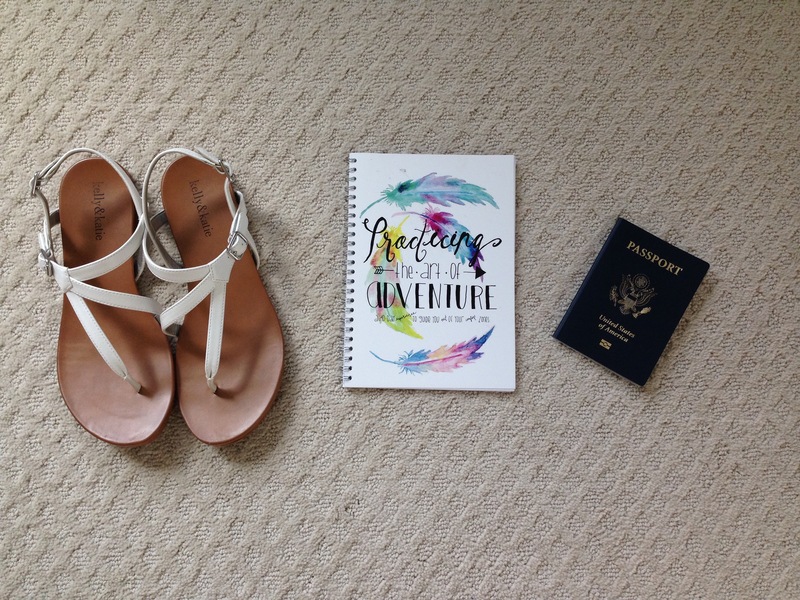 You don’t have to go on a summer-long Euro trip to be living out an adventure in your life. The journal, which offers inspirational quotes and Biblical passages alongside prompts for self-reflection, is a travel guide to help you discover how to live an adventurous, purpose-driven life in the midst of the seemingly mundane and ordinary. Oh, how I wish I had had the Art of Adventure journal during the dark days of my illness last year. A little more about the journal: It just went on sale today! It contains 40 days worth of guided reflection prompts. There are also accompanying videos and downloads on journal creator Charissa Steyn’s website. Some examples of topics that the journal covers include defining what adventure means, embracing change, identifying obstacles, learning how to “hear” God, and of course, practically mapping out an intentional life adventure. This journal is not likely to resonate with you if do not hail from a Christian faith background given the heavy emphasis on Biblical scripture. Regardless of whether the Art of Adventure journal is the right tool for you or not, I wish all of you guidance and peace as you pursue a purpose-driven life. Go forth, friends, and do amazing things!